To express our appreciation for you, our friends and family since 1965, we offer a one-time, discount coupon for our new OMNI volume pedal. 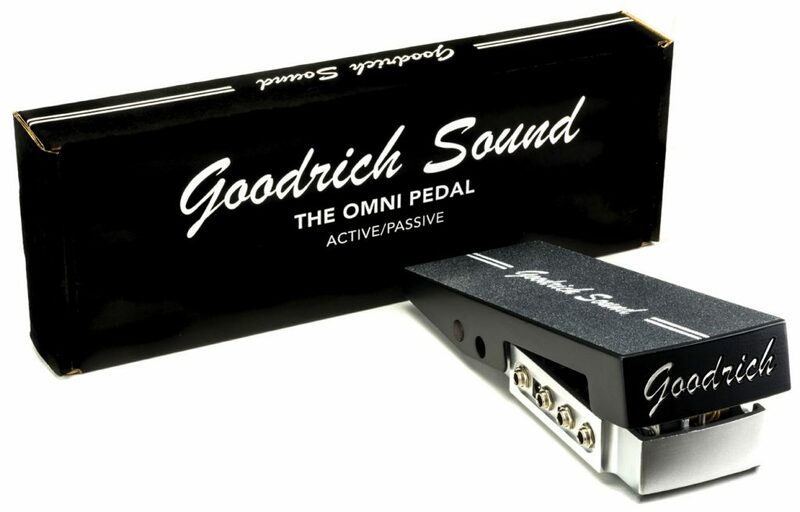 Get the pedal that Jay Dee Maness, Pete Anderson and Greg Leisz use to get their best sound! The Omni is both an active or passive pedal, switchable by the push of a button. Excellent, even tone throughout the sweep, with no loss of power and no noise. Parallel inputs and outputs are available on both sides of its aluminum diecast body. 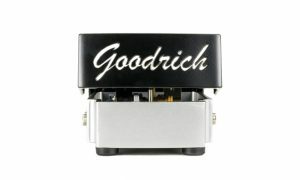 This pedal also includes a tuner out on both sides, and while in active mode, utilizes signature Goodrich impedance matching circuitry. An excellent choice for guitar, pedal steel, violin, bass, keys…anything that plugs in! A volume pedal created for professional musicians and enthusiasts requiring the best possible performance and flexibility from their gear. The Omni was developed through years of countless combinations of components and values, research and testing. 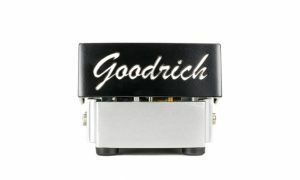 We incorporated the feedback and skills of the best electronics engineers and players and combined that with the quality Goodrich product is known for to dial-in the tone that we agree to be exceptional. Register here for your discount to be applied. 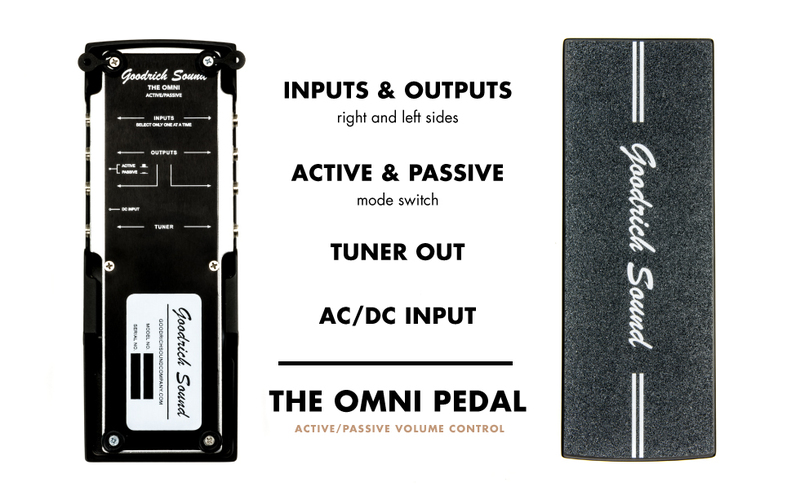 Pick the Omni Pedal you want to purchase. Click the “Add to Cart” button on the page of your chosen pedal. In the checkout window, enter the code: theomni into the “Apply Coupon” box. *This is a limited time offer. * Discount code expires 5/30/18. Offer available ONLY through this link. One discount per person. Not available through any other Goodrich re-sellers.